interlinkONE > Marketing > Does Your Packaging Pack a Punch? Imagine walking into a convenience store and seeing shelves filled with faceless products. That is to say, various items are in plain white packaging that carries the brand name and nothing else! Something else that needs to be considered is the safety aspect of your packaging. If you are selling product that can be consumed by your customers, you want to make sure that the packaging is one that cannot be opened easily in the store or even before it has reached the hands of your customers. An industry like marijuana would be a good example. It is time for these businesses to give marijuana packaging a little update and offer their customers more of a choice when it comes to where they can store their product. Without product descriptors, differentiating call-outs, and attractive product design, you’d have a tough time deciding which brand to choose and would have to take a chance with a blind purchase. Effective packaging works in two stages: a) attracting a potential buyer, and b) persuading the buyer to give it a try. Does your packaging work the way it should? Could it do with improvement? Study these tenets of packaging, and ask yourself whether your brand is dressed for success in the supermarket. There are two types of shoppers. One, the open-minded customer who enjoys browsing store shelves at a leisurely pace before making a purchase. Two, the type who rushes through shopping on a tight schedule. He/she knows where to find what he/she wants and makes a beeline for the brand of choice, ignoring options. It’s important to flag both types of shopper, though grabbing the attention of the latter is a lot tougher. Your brand must visually break through the clutter of competing for products sharing shelf space, and for this to happen, its packaging must be distinctive. Does your product packaging wear bold, brand-defining colors that will be noticed by an approaching shopper ten feet away? Is the name brand readable? Is the product description short and clear? Does the package’s shape pique interest? If you can get a shopper to lift your product off a shelf and take a closer look, you’ve won half the battle in your fight for dominance in your product category, strong packaging is a factor that is most likely to impact what decision a customer makes when choosing what product to pick up and read. Using a design agency is a great option for businesses looking for new packaging design because they know what will attract audiences to your brand and therefore, what can up your sales of that product. Intelligently designed packaging addresses a shopper’s primary concerns on the principal panel itself–the side facing out. Information needs to be prioritized and emphasized accordingly. It must be presented logically: brand name followed by product descriptor, differentiating slugline, and other relevant information, such as a discount or a value addition. Whether or not space is a limitation, you must work towards brevity and clarity, resisting the temptation to crowd the front panel with information that strictly belongs on the reverse side. In short, strike a balance. Say too little, and you won’t sell. Say too much, and you’ll lose the shopper with a short attention span. With hundreds of brands vying for the buyer’s attention in any given category, the last thing you want is to offer the world a me-too product. However, manufacturing a product with a competitive edge is not enough. This difference must be spelled out on the front face of its pack to trigger a purchase. It is important to be specific. Don’t just say ‘nutrition packed’, but mention which vitamins your product contains. If it’s organically produced, explain telegraphically what that means. And instead of making empty claims like ‘great quality’ or ‘high value’, explain how and why. A product that comes with clear and relevant information is more likely to win over a customer who makes comparisons before making a purchase. Just as brand advertising evolves from insights into target groups, product packaging must be based on a customer’s hierarchy of needs. If you know what drives a customer to make a purchase in your category, you’ll know what signals to build into package design. Packaging that is useful on its own, but which only marginally increases cost, will give a product a selling advantage. For example, if you’re marketing soy milk in a tetra pack, you could consider offering it in a plastic dispenser instead. This could have a hinged, snap-on lid with the brand name blind-embossed on it. After the soy milk has been consumed, the dispenser would continue to be used–perhaps to store milk or juice–and the embossing would ensure that the soy milk name brand stays top-of-mind. Packaging must be designed to reflect the image and personality of a brand as projected in advertising. It must use the same color coding, tone of voice, and mnemonics if any. 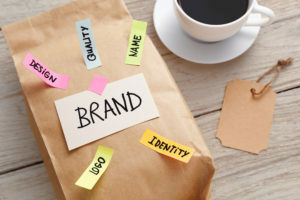 The reason is that a customer who has responded positively to a brand’s advertising will instantly recognize a product carrying that brand name and favor it when making a purchase. Indeed, synergy in branding across all media–press, outdoor, television commercials, radio, and packaging–gives a brand the visibility and memorability it needs to grab market share in an increasingly competitive environment.